How To Create Bootable CD For Windows Operating Systems ? Yesterday, there was a huge debate between my friend and me about creating a bootable Windows XP CD. Finally, I won. Usually most of us use BBIE or Nero, but now you don’t need them. All you have to have is an application that extracts the boot image from your current Windows XP CD and a CD burning application that is used to create a new bootable CD. First, create a folder structure to save all the necessary files on the local PC before they go to the burning CD. 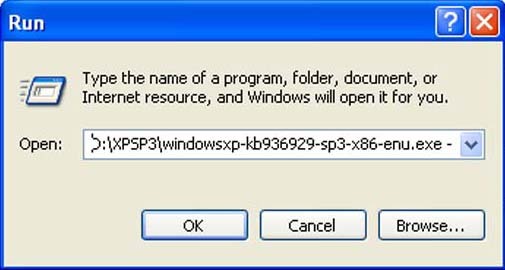 Go the drive, create a subfolder XPSP3 CD, and copy the entire contents of the XP CD to D:\XPSP3CD. Enable the option to view all of the hidden files before copying the files to the subfolder. 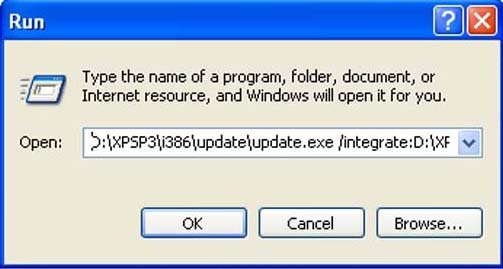 Now copy the SP2 standalone file to the subfolder that is windowsxp-kb936929-sp3-x86-enu.exe. Now, you can use a file archiver like WinRar. At the same time, you cam make it by going to Start/Run and type in. Now you can get an extracted dialogue box, just extract the files to D:\XPSP3. If you don’t want the original SP3 file, just delete them now. Now download BBIE and extract the files to a local folder like D:\BBIE and then open the command window and navigate to D:\BBIE and run the command as follows. bbie x: (here x is the optical drive with the XP CD). Now BBIE will start searching the CD for any available boot images and it will extract them using an image1.bin, image2.bin extension files. After that, there will be one boot image on the XP CD. BBIE can also extract the boot images from ISOs. bbie x:\cdimage.iso ( here x is the folder that contains the ISO and cdimage.iso is the filename). If you do this, the image1.bin will be saved in the active folder D:\BBIE. Once you enter the command, the upgrade program will launch and install the service pack to the locally cached CD and confirm the prompt once it is done. Finally, launch Nero Burning ROM and create a new bootable CD compilation, when you find the compilation properties windows and select the Boot tab. After this, click on the Image File radio button and browse the image1.bin file, which BBIE extracted. Now under Advanced, tick “Enable Expert Settings”. Now enable “No Emulation” and ensure “Load segment of sectors” is set to “07C0” and change “Number of loaded sectors” to 4. Now click Ok and add the contents of D:\XPSP2CD to the compilation project. Burn the CD it is enough. Now you can access the Bootable XP CD.